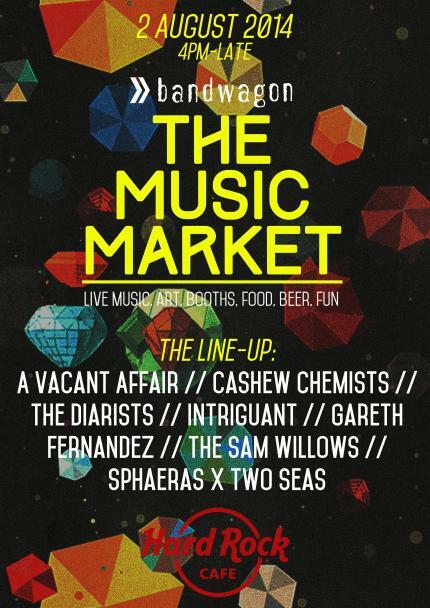 The Bandwagon Music Market is back! Like last year, Saturday becomes eclectic as we have the best of live music, art, flea-marketing, vinyl shopping, and food with us at our event. Bigger, bolder and more happening, we'll be holding this bash at Hard Rock Cafe (Orchard) this year - along with a super exciting and diverse line-up. We better see you there this August! Check out our event page for more updates on the pop ups, activities, and food/beer choices that will be going on that day!